Brian Krzanich was one of the loudest advocates for increasing diversity in tech. Will Intel’s efforts continue now that he’s gone? 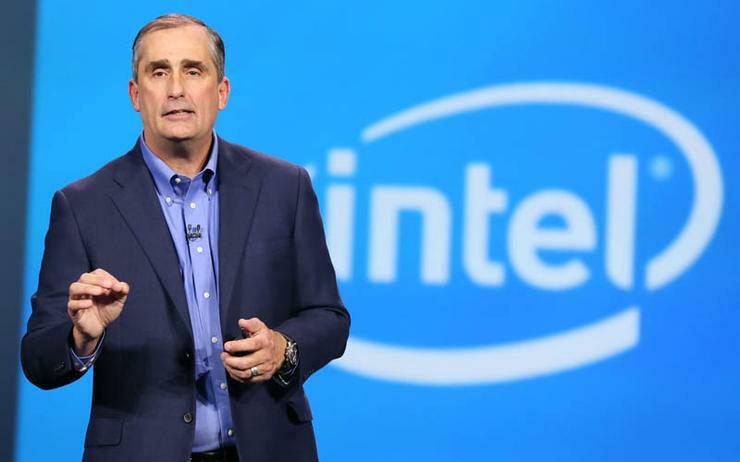 A matter of weeks ago, Intel CEO Brian Krzanich resigned the role he’s held since 2013 because of a consensual relationship with a fellow employee. While not as salacious as other recent tech industry scandals (Uber, Snap, Binary Capital), it’s still worrisome, even though it’s the right move - Intel forbids “fraternisation,” in this case, managers dating employees. Krzanich was one of the most outspoken advocates for fixing tech’s homogeneity, and he - as evidenced by the company he headed - wasn’t just playing lip service to the idea, but actually making headway. Intel’s latest diversity report reveals that the tech giant continues to make slow and steady progress on its diversity and inclusion efforts 0 putting it far out in front of other IT and tech companies. So far out in front, in fact, that Intel is on track to meet its full workforce representation goal this year - two years ahead of the 2020 goalit set back in 2014. That’s nothing new; Intel has been focusing on diversity and inclusion for at least a decade, well before the lack of diversity in IT became a ubiquitous concern. “Under [Krzanich’s]leadership, Intel exceeded its hiring goal for 2015 to increase diverse hiring by 40 per cent to 43.1 per cent. Hires from underrepresented communities increased by 31 per cent. The company also increased its female workforce by almost 43 per cent at that time. “Many of Intel’s diversity efforts were not solely focused on internal operations. The chip maker collaborated with Georgia Tech, investing $5 million to boost a more diverse tech pipeline. "The joint effort will benefit over 1,000 students in the next five years, providing mentorship, access to research opportunities, and scholarships. I hope that interim CEO Bob Swan, Intel’s former chief financial officer, continues the same commitment to diversity and inclusion that Krzanich espoused and that the board replaces him with someone who will continue to lead the charge.